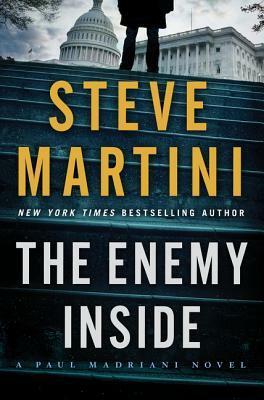 Be prepared for globe-trotting action as Steve Martini launches his most recent Paul Madriani thriller at a full throttle. This pace is maintained as the action shifts among key players and the locales where they are hiding, cooking up mayhem or stalking human prey. 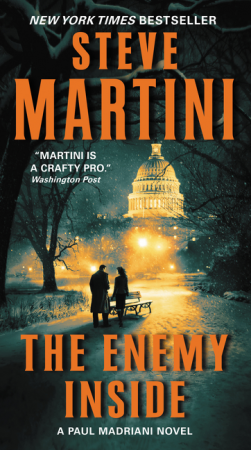 Martini’s fans will be pleased that the story picks up the thread of danger and fear that Madriani’s nemesis, Liquida Muerte, has brought to previous novels. The nucleus of characters includes his attorney partner Harry Hinds, lady friend Joselyn Cole and, of course, Madriani’s beloved daughter, Sarah. Further out from the inner circle are Thorpe at the Federal Bureau of Investigation (FBI) and his cohort of spies and snitches. The premise, locating and stopping terrorists bent on producing the means for destroying key targets in the U.S., creates tension and no end of drama. The subplot is pure Martini – fierce papa Madriani needs to assure the safety of Sarah and will do most anything to secure it. The focus on wicked scientist from the Jet Propulsion Laboratory in Pasadena, California seems a bit like the reverse play on the TV show NUMB3RS where brilliant scientists solved ugly crime with math and physics. The doubts about who’s the good guy and who’s the self-centered monster make the plot twists and turns all the more enjoyable. Martini knows how to play out the suspense and snap to a conclusion, segue to more action and never miss a beat. While some thriller series may lose their vitality, thankfully, the Madriani franchise is clearly not one of them. 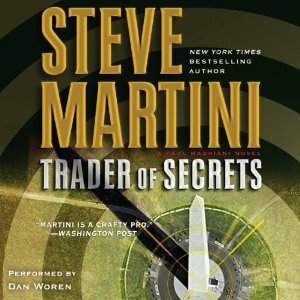 This reviewer is looking forward to the next installment from Steve Martini’s vivid imagination. 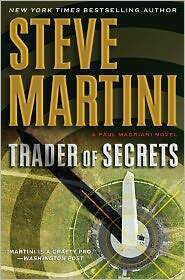 A review of Trader of Secrets: A Paul Madriani Novel by Steve Martini.